We offer a wide selection of contact lenses including disposable soft contact, bifocal/multifocal, toric, and colored lenses. 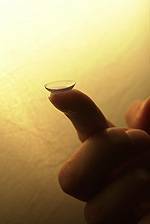 We specialty fit rigid gas permeable, hybrid, keratoconic and orthokeratology lenses. Whether you wear daily, weekly or monthly disposables, or conventional specialty lenses, our Doctors of Optometry put your eye health, vision and end of day comfort first in mind. A good contact lens fit starts with a thorough eye exam to ensure the most up-to-date prescription and rule out any pre-existing conditions that could interfere with contact lens wear. 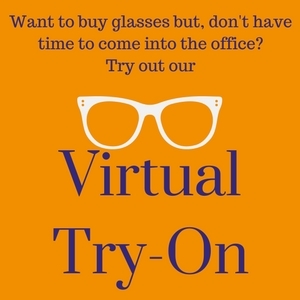 We will determine the best fitting lens based on your lifestyle needs, the shape and health of your eye. In most cases, you’ll have the opportunity to learn how to put on lenses, as well as trial fit some contact lenses on the same day so that you can wear them before making a final decision. We follow up the initial fitting and then make any necessary changes in fit or materials to get you the best possible fit. We teach all our patients proper contact lens care and educate on how to avoid possible contact lens complications. Learn more about the contact lens lines that we carry and how we can improve your end of day comfort.